Heart shaped 10.43 x 7.89 mm. Oval shaped 6.50 x 5.52 - 6.49 x 5.59 mm. Cushion cut 6.80 x 6.57 - 6.45 x 6.43 mm. Matched trio set Colombian emeralds 7.87 ct.
Good quality baguette cut vibrant medium green 14.42 x 7.10 - 9.42 x 5.14 - 9.25 x 5.07 mm. Matched trio set Colombian emeralds 2.78 ct.
10.27 x 4.96 - 7.10 x 4.48 - 7.37 x 4.06 mm. Matched trio set Colombian emeralds 4.18 ct. Very good quality emerald cut vibrant medium green 8.78 x 5.66 - 8.91 x 4.13 - 8.77 x 4.69 mm. Genuine Colombian emeralds 3.10 carats tw. 9.08 x 5.01 - 8.53 x 4.14 - 9.16 x 4.11 mm. - 9.0 x 5.24 - 9.24 x 5.20 - 6.58 x 6.12 mm. Genuine Colombian emeralds 4.32 carats tw. Pear shaped, Light-medium green really brilliant. 17.01 x 6.42 - 9.99 x 4.17 - 10.02 x 4.15 mm. Average commercial quality light-medium green, 7.46 x 6.49 - 6.23 x 5.96 - 6.24 x 6.10 mm. 5.62 x 4.94 - 5.56 x 4.74 - 5.53 x 4.62 mm. Trio set Colombian emeralds 1.85 ct.
6.06 x 4.59 - 4.85 x 4.41 - 4.99 x 4.49 mm. Good quality medium green, very good brightness 6.48 x 6.09 - 6.10 x 4.77 - 6.07 x 4.84 mm. 5.69 x 5.16 - 5.38 x 4.39 - 5.02 x 4.36 mm. 7.21 x 5.53 - 6.11 x 4.76 - 6.20 x 4.65 mm. Good quality medium green, very good brightness 6.62 x 5.41 - 5.62 x 4.36 - 5.25 x 4.48 mm. Good quality medium green, very good brightness 6.76 x 5.37 - 5.92 x 5.03 - 5.80 x 5.03 mm. Rectangular emerald cut, medium green good brightness, 8.32 x 6.53 mm. 6.65 x 5.31 x 3.70 mm. 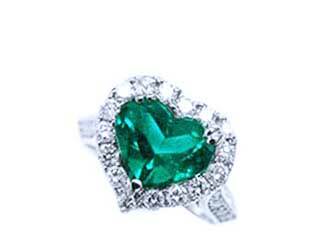 Genuine Colombian emerald 2.89 ct.